Dried lavender is gaining popularity at the moment for home crafts. Many people have a lavender bush in their garden and can dry their own, or it is very easy to source online. Paradoxically, I think my old Aunt Nancy (born in 1924) was a member of the last generation to dismiss lavender as something associated with old ladies! These days the first thing to come to mind is aromatherapy. Although lavender does not kill moths and won’t cure an infestation, they don’t like the smell and will avoid areas protected with lavender. 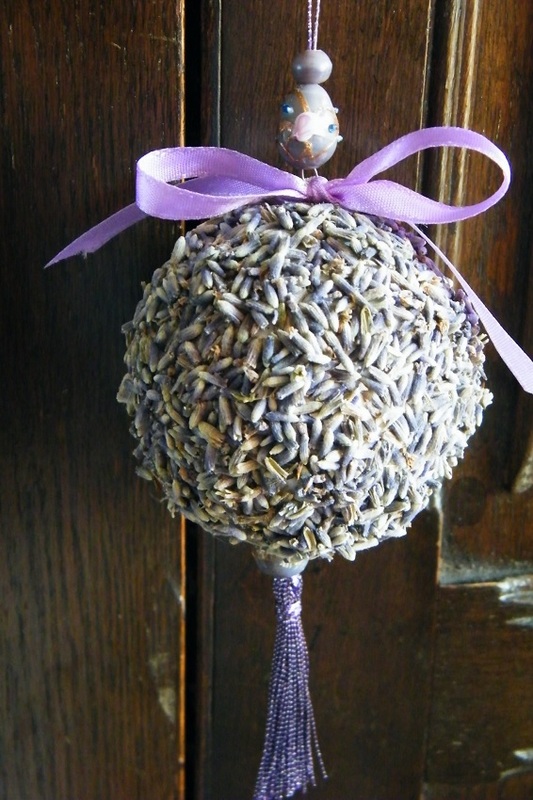 Make a lavender pomander or hang lavender bags in the wardrobe. Flies are also deterred in a similar way. Try leaving some dried lavender buds or bunches near open windows to stop them coming in. Particularly useful near farmland! In A Good Year by Peter Mayle, an old house in Provence is even protected from scorpions by dried lavender around the window frames – not much call for that in the UK climate! Thanks – and it’s useful too!